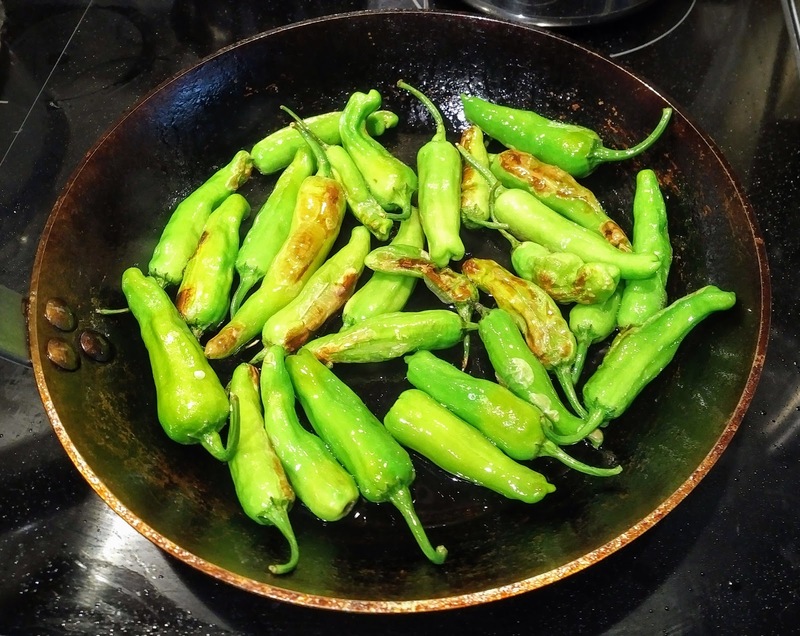 These peppers were delicious when we had them in Barcelona. It's a staple found at every tapas bars and we were told that while they look like jalapeño peppers, only 1 in 20 or so is hot. They are a little pricey to get here in Toronto, I picked them up for $15/pound in Kensington market but once you obtain them, they are insanely easy to make! Another tidbit about shishito peppers: they originate in Asia and are popular in Japanese and Korean dishes. The Japanese version is made with soy sauce, ginger and toasted bread crumbs. In a hot cast iron pan, add olive oil and place the peppers in one layer so they are not on top of each other. Stir occasionally and turn them over cooking for 6-7min. They are meant to be browned on the outside but make sure they don't overburn. Sprinkle with sea salt and serve in a small dish.